How many of us have our Desktop cluttered? There have been many solutions presented to avoid clutter. And rarely do these solutions work, simply because they are not compatible with human nature and habit :) We cannot exist being so organised every single day. It takes too much effort and discipline. Lazy to drag & drop? Invariably when we are in a cleaning spree, we create new folders for contents based on project, customer, type of content, events as in the case of photos and so on. And most of the times we realise this when we have already started dragging files and about to drop. 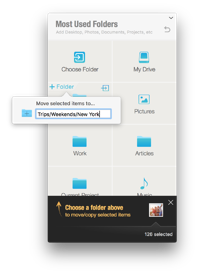 Then we stop our drag, open the destination ( Photos, Projects..), create new folders and then drag content again. Power Move solves this problem. 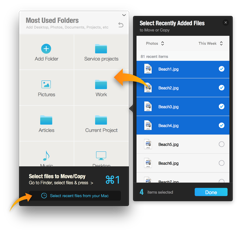 With Power move, you can create folders, just beforeyou move or copy. It is powerful enough to create multi levels of folders. 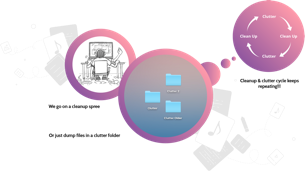 Quick and easy access to all the recently added files on your Mac. 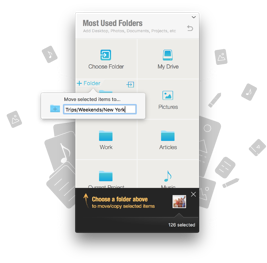 Filter the files by type and time, for more refined sorting and selection. 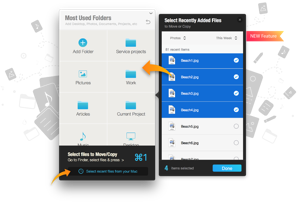 • File types like photos, videos, documents etc. • Created this week, this month etc. 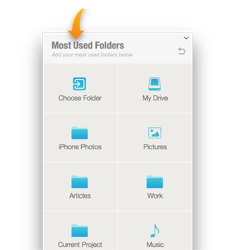 Your most used folder is a command way. Move or copy to them without drag and drop. 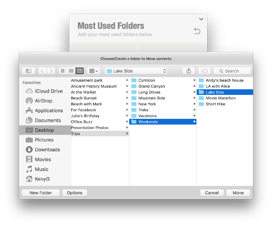 Move files & folders accross your Mac & add most used folders to QuickShift using right-click service menu options. 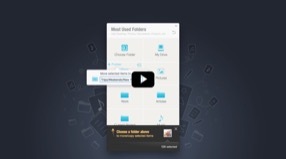 QuickShift reminds you to clean up when your Mac starts to get cluttered with files.